Replacement for the HP 48GX RPN Graphing Calculator. Serial cable included. The IRdA port allows the hp 48gii to communicate with another hp 48gii or an hp 49g+ calculator at high speed. Calculator does not accept SD cards or HP48GX expansion cards. 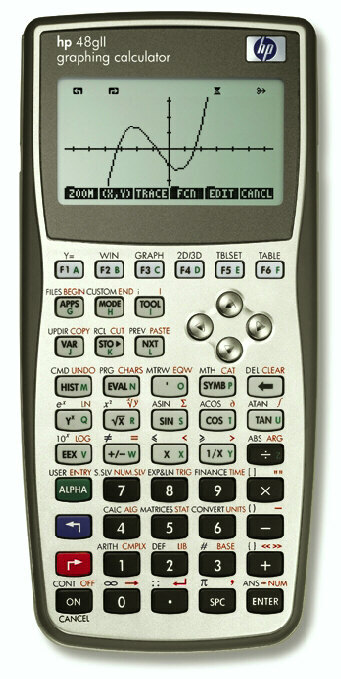 Replacement for the HP 48GX RPN Graphing Calculator. Manual can be bought separately or found at www.hp.com/calculators. Refurbished units when listed have been individually tested by one of our experienced staff and come with a 90 day warranty through us. They include calculator, case, cable, and batteries.